A new backpack program seeks to help children reach their fullest potential by providing bags of food to children in need and is looking to the community to help provide more healthy options to under-served children. A Lynchburg woman voiced her passion by creating a new backpack program for Lynchburg City Schools that aims to bring food security to children who leave school Friday, not knowing when their next meal will be. According to feedingamerica.org, 18.2 percent of people in the city of Lynchburg are food insecure. Food for Thought was created by Laura Bauer, a physician at Lynchburg General Hospital and adjunct faculty at Liberty University College of Osteopathic Medicine. The program was established in July through Park View Community Mission, and it currently packages about 400 bags per week for food-insecure children. Each bag includes two breakfasts, two lunches, three dinners, two servings of vegetables and four healthy snacks. Bauer is looking to expand the program to provide for more children. Bauer, who said she has always had a passion for everyone having enough food, has played a role in the Bedford Hills Elementary School backpack program over the past five years. 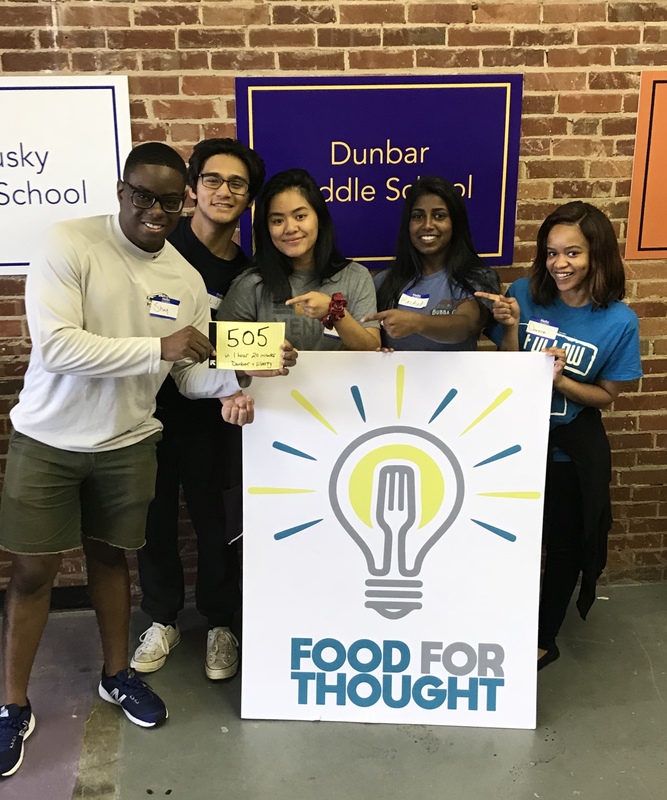 When her two oldest children started attending Dunbar Middle School, Bauer saw a bigger need to provide food to several students who lacked consistent food sources during weekends. After creating a backpack program at Dunbar last year, Bauer concluded that every student should have access to weekend meal assistance. Because of Bauer’s work as a physician, she cares not just about giving the children food, but also providing nutrition. Bauer and the Food for Thought team never want a child to feel like they are less just because they do not have immediate access to food in the pantry. According to Food for Thought’s website, on Friday afternoons, children who are at risk for hunger are confidentially provided food for the weekend. Bauer was inspired to start the program when two of her children began attending Dunbar Middle School. There, she identified a bigger need to provide food for students who lacked consistent food sources during weekends. Bauer invited friends from around town to discuss developing a city-wide backpack program, which she named Food for Thought. At the same time, Liberty University administrators and Thomas Road Baptist Church leaders were recognizing that hundreds of children do not have food to eat when they are not in school. Leaders from Liberty and TRBC invited Bauer to several meetings to discuss goals and plans to feed children in the community. Liberty provided Food for Thought a rent-free space for one year, along with free utilities, so the organization can focus on its main goal — providing food to students who need it so students can reach their full potential. Food for Thought is currently located in a 7,400 square foot warehouse in the Plaza shopping center in mid-town Lynchburg. While there are other backpack programs in Lynchburg, Food for Thought’s goal is to come alongside these programs to help more children in the community. Through her partnership with the Blue Ridge Area Food Bank, Bauer can purchase high quality, nutritious food at a more affordable price. Other backpack programs can purchase food through Bauer at a more affordable price, allowing that programs to provide more bags to children in Lynchburg. Currently, Food for Thought’s biggest need is healthy snacks. With about 400 bags being distributed every week, the organization needs roughly 1,600 individually sized and packaged snacks each week. Granola bars, peanut butter or cheese crackers, pretzels, Goldfish and popcorn are just a few examples of food the organization needs. 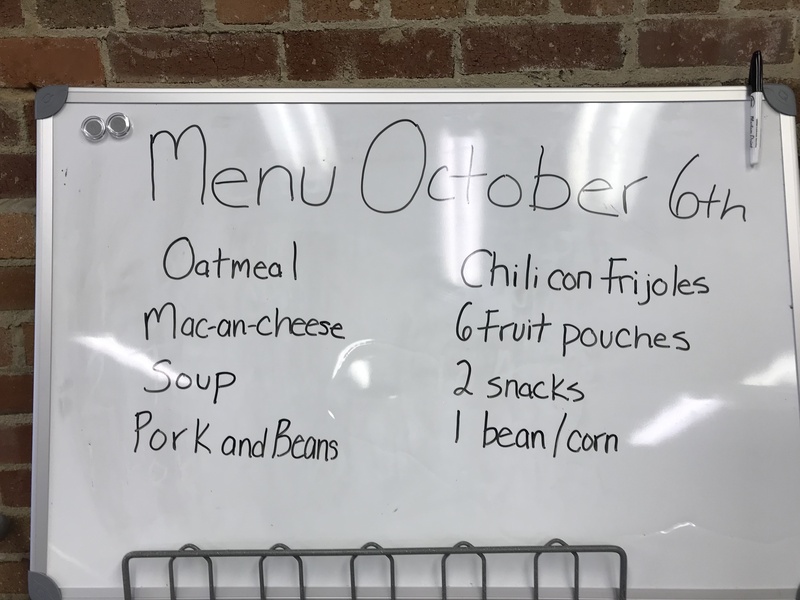 More information about Food for Thought can be found at https://www.parkviewcommunitymission.org/news-1. Students who are interested in volunteering with them can do so by emailing volunteer.foodforthought@gmail.com.